In the education space, SPIE works with a variety of institutions – from primary schools right through to Universities. It is important to make educational facilities legally compliant and safe for staff and students to learn in. SPIE’s tailored offering helps ensure the wellbeing and comfort of those who operate in the education sector. SPIE is also heavily involved with the refurbishment of student accommodation across the country, providing the highest quality work on all of its projects. Recently we have established a unique energy saving fast-track solution for student accommodation/properties operated by Unite; giving a ROI of under 6 years and improving the student experience. 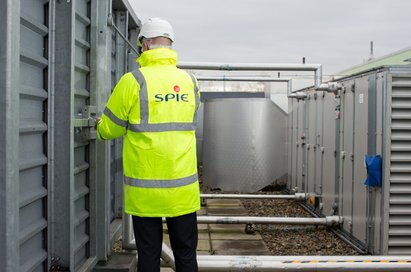 SPIE UK has over thirty years of experience working in the educational sector with Principals, Bursars and Estates Management. We are able to adapt to the needs of local authorities, independent, directly-funded or academy status establishments. We ensure a safe and compliant environment for students, staff and the any visitors and have an extensive understanding of working life in education – and the need to work around the staff and students in a protected and secure manner to make your buildings the best they can possibly be. All our engineers and staff are DBS (Disclosure and Barring Service) cleared according to the contracts on which they are working. From the initial assessment, our tailored service is designed to fit around your day-to-day operational requirements, minimising disruption and downtime for your business. Using our knowledge, skills and a combination of planned and programmed works, we offer a full 24/7 reactive service to our clients that will work proactively with you to control cost so it is within your allocated budget. Want to find out more about our Education offers?